ISLAMABAD: Pakistan Muslim League-Nawaz (PML-N) leaders on Wednesday slammed the arrest of Khawaja brothers and threatened that if Saad Rafique’s production orders are not issued, they would not let the parliament session function. They said this in a parliamentary session held on Wednesday where the party leaders unanimously condemned the arrest of Khawaja brothers. PML-N president Shehbaz Sharif paid tribute to the political, social and national services rendered by them for Pakistan. He said that Khawaja Salman Rafique was part of his Punjab government and he had known him to be a very noble gentleman who served the people with all his heart. 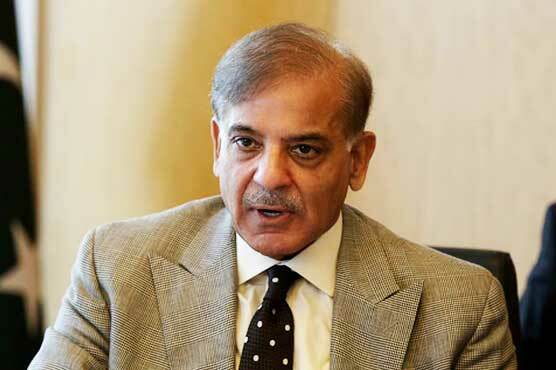 Shehbaz questioned as to what precedent is the National Accountability Bureau (NAB) looking to set for the people of Pakistan by arresting and harassing those who serve the country. These individuals added millions into the national treasure, revived failed projects, is this why they are being put behind bars, he said. He said that Pakistan saw its best days during the government of Nawaz Sharif. “Such a devoted leader and his daughter are now being punished for his selfless and tireless service for the nation,” he said. “I successfully defended, to the last detail, every single one of PML-N’s projects during the 62 days of illegal abduction in NAB’s mental torture cell. Even they admit that PML-N brought the country out of the shadows of power crisis. I told them that they can continue sifting through every spec till the end of time but they would not be able to find an inkling of corruption because we had served Pakistan with utmost transparency and honesty,” Shahbaz said. Shehbaz said that Finance Minister Asad Umar has admitted that the China-Pakistan Economic Corridor (CPEC) is a transparent project. The former chief minister said that NAB would keep probing but would not find any dishonesty. During the meeting, the party leaders said that the ‘NAB-Imran nexus’ is perpetrating vindictive acts which are undermining law and transparency in the legal system. NAB and the government are using political opponents, said the party leaders, adding that this attitude is leading Pakistan towards financial danger. PML-N leaders said that Hamza Shehbaz being added to the blacklist without any reason and inquiry against Marriyum Aurangzeb raised a question on the law. They said that Saad Rafique served the people of Pakistan and pulled a drowning national institution [Pakistan Railways] back onto its feet. His arrest is an insult of all those who aspire to serve the people of Pakistan. The meeting denounced the “double standards” of the bureau and termed these actions an obliteration of national institutions. They pointed out that Prime Minister Imran Khan was wanted in the helicopter misuse case, Jahangir Tareen was disqualified and under inquiry for mass money laundering and corruption yet still running state business, Aleema Khan’s NRO, Aleem Khan the known land-grabber being given the post of senior minister instead of being arrested, silence over Malam Jabba case and innumerable other such instances are testament of the double standards, partisan actions and use of NAB as political tool the worst abuse of power by the PTI government. The PML-N leadership stated that PTI had failed miserably run the affairs of the country and had brought the country to a host of crisis which was why it had no option but to distract the people with these gimmicks. The government had plunged the country into the worst economic nosedive, destroyed people’s houses and businesses instead of giving five million houses. They said that the “compulsive liars and thieves of PTI first stole the people’s mandate, then the stole the right to healthcare and education and were shamelessly stealing PML-N projects by taking off inauguration plaques of Shehbaz Sharif and Shahid Khaqan Abbasi to put up Imran Khan’s name and claiming that they had signed anti-money-laundering MoUs when all 15 of them were done by PML-N”.